We are sure you will agree that life is about sharing experiences and knowledge with people. 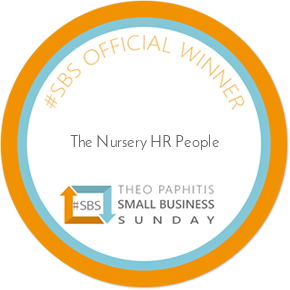 That is why it struck us here at The Nursery HR People HQ that many of you might have heard about us but don’t necessarily know the people behind the scenes. The people who make all the magic happen! This has inspired us to write this blog and introduce you to the team so you can get to know us a bit better. 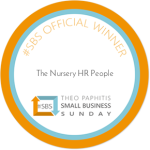 The Nursery HR People was established in 2015 by a group of working mums, Donna, Fiona, Ruth and Sara who are passionate about reducing the administration burden for nurseries, preschools and early year’s organizations. It became very apparent to us that nurseries and preschools face a plethora of demands they must meet. One of them being the management of employees and the associated HR documents. We share the common goal to provide first class HR solutions to the early years’ sector and enable nurseries and preschools to achieve outstanding results in their setting. Along the journey we have also been humbled to have been recognized by Theo Paphitis who you may know from the BBC’s Dragons Den series. He awarded us his Small Business Sunday (SBS) winners award in May 2018. Winning this prestigious award and working with so many amazing nurseries and preschools across the UK really does make it all worthwhile. Donna has a BA Hons degree in Business coupled with MCIPD status through the Chartered Institute of Personnel and Development. Donna is a credible and highly competent HR professional, with a diverse range of skills and experience, spanning across various business sectors. Donna has worked for FTSE global companies in HR Management positions and has worked in commercial based management roles enabling her to provide exceptional HR with a full understanding of how the commercial functions of a business operate. Specialties include HR Management, Performance and Development, Strategic Management, Change Programmes, Commercial Management, Employment Law, HR Compliance. Previous employers include; Boots Opticians, The Independent News and Media Company, IPSOS Mori, Lafarge, NHS, Nottingham Trent University and The Institute of Safety and Health. Donna is a very proud mum to her young daughter who keeps mummy very busy! 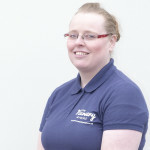 Fiona has a BA Hons degree in Business from De Montfort University in Leicester. 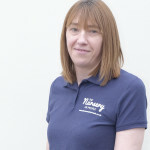 Fiona is an experienced and competent business professional with a range of diverse skills and strong commercial acumen. She has developed a career in business and operational management support over the last 15+ years, and prides herself on her ability to contribute to the strategic agenda. Fiona has experience within Finance, Retail, Charity and Trade Association organisations, including working for The Boots Company, and the National Children’s Bureau amongst others. Fiona is ‘Mum’ to a teenage Daughter which she lists as her proudest achievement! Ruth has a BA Hons degree in Business coupled with MCIPD status through the Chartered Institute of Personnel and Development. Ruth has a genuine passion for everything HR and adopts a positive commercial approach helping clients find the right solution for them. Ruth has a wealth of both consultancy and hands on management and advisory experience both in the public and private sector. 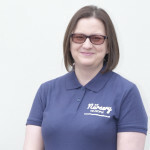 Mum to three young boys, Ruth has chosen to specialise in the education sector and has a vested interest in helping nurseries, preschools, school academies and colleges make the best of their greatest asset – their employees. Previous employers include; Peninsula, Lafarge Aggregates, Hanson Aggregates, Loughborough College and Autofil. Sara is a highly motivated and proactive marketer with a proven record of delivering results through successful marketing campaigns, both offline and online. A creative thinker, strategic in approach and an award winning marketer, Sara has 15+ years of strong and proven communication, brands, marketing, project management and customer skills with experience of delivering high profile projects from research through to end delivery. Previous experience spans across the Media, PR & Communications, and FMCG Sectors; including the Independent News & Media Company, BBC Worldwide and The Coca-Cola Company. Sara is a mum to two little boys so completely understands the value of excellent childcare to help with life as a working mum. Our team delivers HR excellence to the early years sector, which means our valued customers always have the reassurance that their HR is being managed, compliantly and effectively. This is exactly what you need as a busy nursery owner / manager. You have enough to juggle without the added burden of your HR policies and procedures to contend with too. Outsourcing your HR to us could be the best decision you make all year and rather than just reading about us you can get to speak with us too! To sign up to a free trial of our online HR solution please follow this link https://www.thenurseryhrpeople.co.uk/free-trial/ . You will not be asked for any payment card details and you can access the free trial at any time.